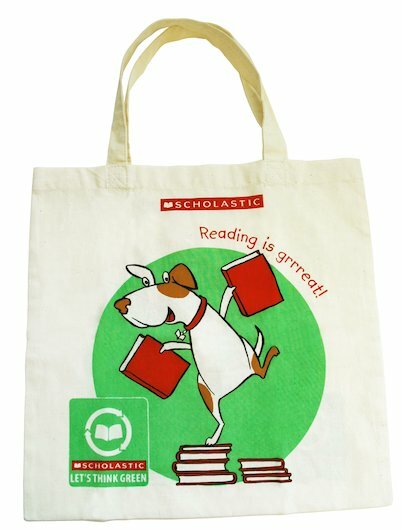 An eco-friendly book bag that you can use again and again – saving plastic bags at the same time. Go green with Scholastic! The perfect way to carry your favourite reads from place to place, this handy carrier also doubles up to take sports kits, lunches, shopping and the like. So show everyone your green credentials wherever you take your stuff. No more uncool plastic bags for you! i cannot tell you about this because it is not a book . I really want this i will be purchasing with my next order as it will be really handy when borrowing books from the library to carry them in.